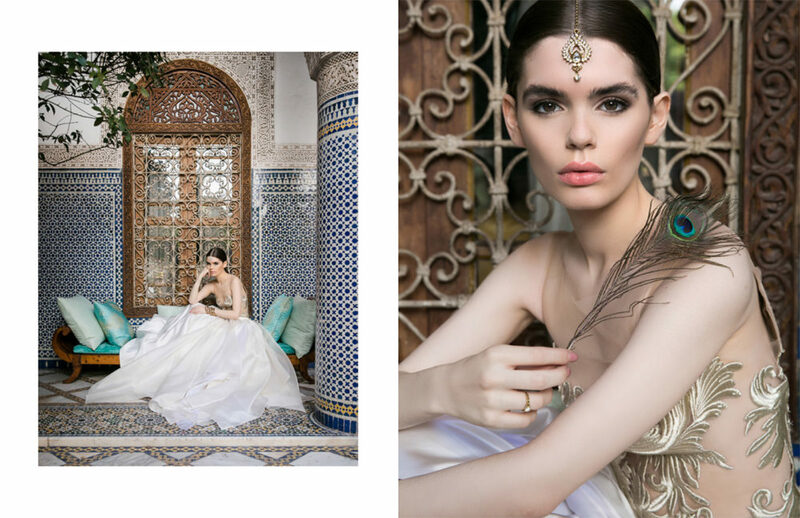 Extravagance and Tradition is what phtographer and creative director Doris Himmelbauer perfectly combined in her latest editorial „The River is Everywhere“ The vibe Himmelbauer and her team created is best described as a sort of „French Orientalist“ one. Elegant, fashion forward, brave and yet traditional. In this project no detail was left to chance. 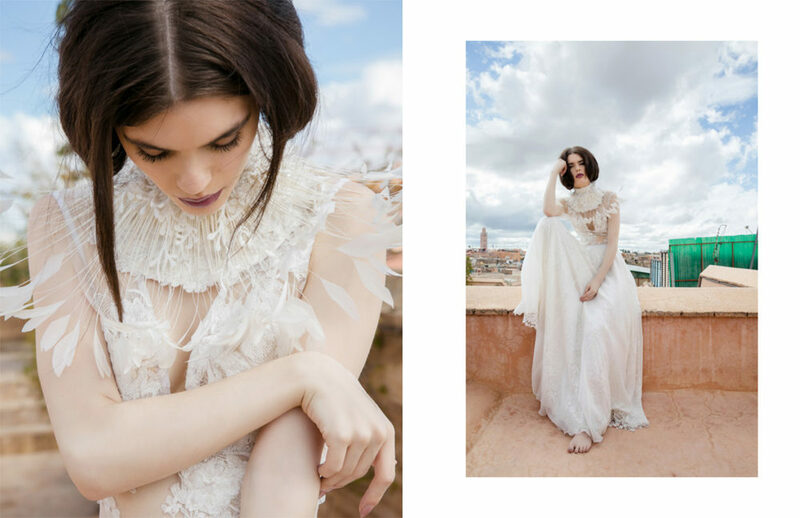 All the bridal designs are carefully selected by Viennese designer Eva Poleschinski. „Teaming up with Eva was the most obvious thing to do for me. Eva´s gowns are just outstanding. She has an exceptional sense for material mix, individuality and extravagance. 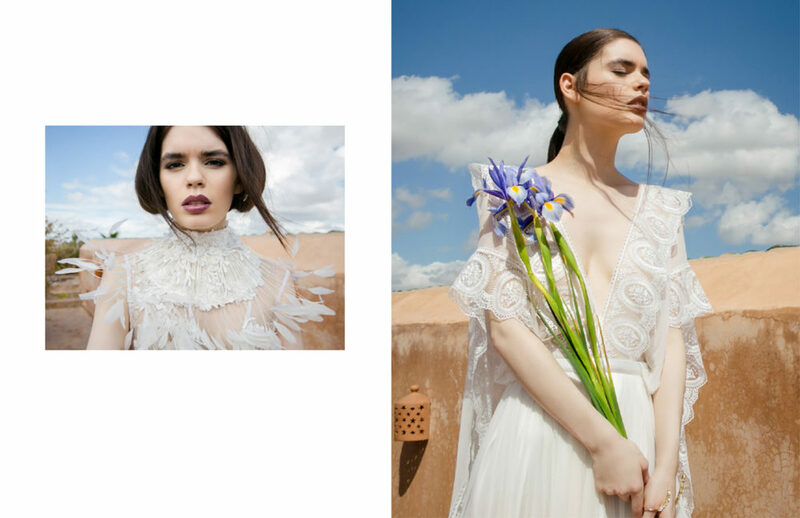 Her designs are definitely fashion forward and yet somehow traditional in its very own way. I really consider myself lucky, that I had the chance to collaborate with her.“ so the Creative director. As we can see on the final images, Himmelbauer and Poleschniski really made a good match. They definitely prove, that tradition and modernity can coexist. Just like Marrakeshs old town district, the editorial turned out to be very exciting, diverse, multicultural and right in your face. List of vendors / credits.